These stores, restaurants and tours will provide an authentic sample of Wisconsin cuisine no matter your group’s taste. Board a bus and venture through welcoming neighborhoods with Milwaukee Food & City Tours. This outfitter not only provides transportation, tour guides and access to countless Milwaukee dining hotspots, it also tailors itineraries to ensure plenty of time to shop and explore local attractions. Themed experiences include “Bikes, Brats & Beer,” which includes visits to the Harley-Davidson Museum and Sauerkraut Boulevard, “Churches & Chocolates,” which explores Milwaukee’s religious history and ethnic establishments and “Craft Breweries & Cocktails,” where you can sample concoctions in local tap rooms. 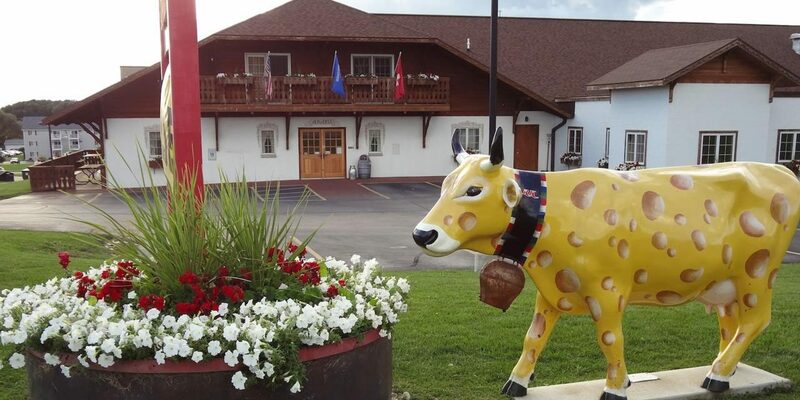 Apple Holler’s 78 acres of farmland, orchards and family restaurant are dedicated to the delicious magic of apples. The Sturtevant property’s 30,000 trees boast dozens of apple varieties, and your group can embark on a u-pick adventure, relax at the Apple Cider Café or learn about American folklore on the Johnny Appleseed History Walk. Apple Holler also offers Ag-venture Tours that include a trip through the orchard, visit to the pollination exhibit and a fresh farm-to-dinner meal at the Red Barn Restaurant. Sample a Cherry De-Lite, Wisconsin’s signature dried fruit snack, at Country Ovens. This Door County favorite offers viewing windows and video tours to show visitors how the cherries are dried and packaged, and the adjacent showroom is open for free samples of cherry juice, chocolate-covered cherries and cherry salsa. Want to enjoy a hearty northwoods meal and witness thrilling lumberjack stunts in the same place? Paul Bunyan’s Cook Shanty, with locations in Wisconsin Dells and Minocqua, offers a combination of restaurant, gift shop, bakery and theater. Groups will love the 1890s logging camp artifacts and all you-can-eat meals, especially the famous Camp Breakfast. The offering of hot griddle pancakes, camp-fried potatoes and homemade buttermilk donuts is sure to fuel your party for the entire morning. Offered at the Dells’ location is the Lumberjack Show, in which two teams of lumberjack athletes compete in 14 events, including axe-throwing, speed climbing and chainsaw racing. For a picturesque sunset dinner, savor a fish boil at Rowleys Bay Resort. This Door County tradition involves whitefish and red potatoes coming to a boil in an iron cauldron placed over an open fire. The flash of flames causes the fish oil to boil over, resulting in a tasty stew typically paired with potatoes as a side and cherry pie for dessert. Fish is only one element of Rowley’s buffet menu, which includes prime rib and sumptuous treats from Grandma’s Swedish Bakery. No visit to Middleton is complete without a visit to the National Mustard Museum, home to nearly 6,000 jars, bottles and tubes of mustard from all 50 states and over 70 countries. Condiment enthusiasts will enjoy a screening at the MustardPiece Theatre, which will transport you to mustard fields of Canada, sausage carts in Germany and the famed Colman Mustard Company in England. Visitors can sample hundreds of mustards, ranging from tangy blue cheese to hot wasabi, at the tasting bar and purchase their favorites in the extensive storefront shop, which also sells gourmet chutneys, salsas and preserves to bring back home. 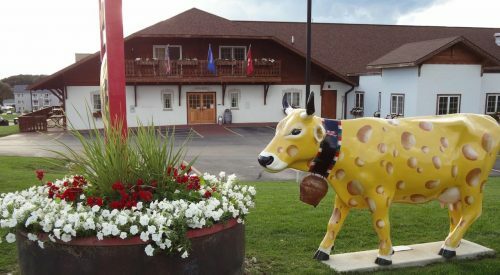 Authentic Dutch, German and Hispanic cheeses populate every wall and aisle of Monroe’s Alp and Dell Cheese Store, a Swiss-style dairy outlet attached to award winning producer Emmi Roth USA. Years of study and European-style apprenticeship have produced exceptional cheesemakers your group can watch in a glass-walled viewing hall, while samples of pungent Limburger, buttery Havarti and other varieties are available in the main showroom.